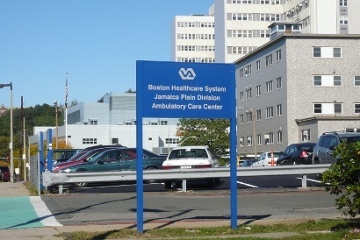 Enter the Veterans Hospital grounds from the South exit off South Huntington Avenue (there will be a blue sign). Building 9 will be on the right. 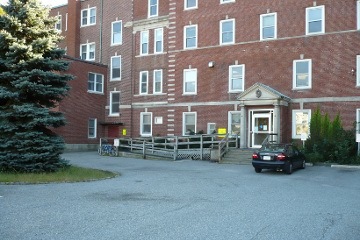 of the Jamica Plain Veterans Hospital.